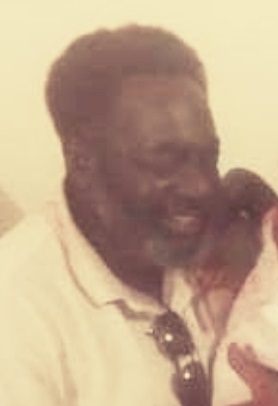 WILLIAMSPORT - Charles Ousley, Jr., 62, was called home to be with his lord and savior Jesus Christ on Wednesday, March 20, 2019 at Manor Care North, in Williamsport. He was born on September 30, 1956 in Newark, New Jersey and was the son of the late Charles and Dorothy (Woolrich) Ousley, Sr. He had worked at Standard Development Plastic Manufacturing. Charles was an avid fisherman and enjoyed car mechanics. Charles is survived by one son; Reginald Joiner of Williamsport, two brothers; Gregory Ousley (Surphonia) of Williamsport and Tyrone Ousley of Newark, NJ and one sister; Joyce Ousley of Williamsport. In addition to his parents, he was preceded in death by two brothers; Donnell and Curtis Ousley and one sister; Eunice Ousley. He also leaves a host of aunts, uncles, nieces, nephews, great-nieces, great-nephews, his cat Bootsy and a host of friends who he loved dearly. His homegoing celebration will have a public viewing 10 – 11 a.m. Saturday, March 30, 2019 at the Maneval Allen Redmond Cremation & Funeral Home, 500 West 4th St., Williamsport. The funeral will be held 11:00 a.m. with Minister Janice Sapp officiating. Burial will be private at the convenience of the family.